Privacy by Design Ambassador, recognised by the Commissioner of Ontario, Dr. Ann Cavoukian, to join a select group of privacy leaders recognized worldwide for their thought leadership. 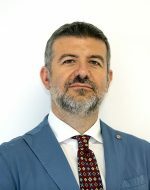 Member of the Editorial Committee of the Magazine ” “http://www.istitutoitalianoprivacy.it/it/2010/12/21/e-nata-la-rivista-diritto-economia-e-tecnologie-della-privacy/“Diritto, Economia e Tecnologie della Privacy” by “http://www.istitutoitalianoprivacy.it/it/“Istituto Italiano per la Privacy. The juridical-legal issues related to the phenomenon of the Internet of Things (IoT). UNI-ISO 27001 – Information Security (ISMS). Consulting for interventions with control authorities and for any further eventuality also contentious. Studio Legale Fabiano has been founded by lawyer Nicola Fabiano in 1994 and currently is based in Foggia in Via Dante Alighieri n. 5 and office in Rome (00136) Piazzale delle Medaglie d’Oro, 20. Nicola Fabiano is Civil Law Specialist and Counsel of the Italian High Courts. The professional activities (legal proceedings and within the framework of extrajudicial procedures) are conducted on the entire national territory and, where necessary, may seek the cooperation of other professionals and consultants. Malcolm Mifsud Dr. Philip Haellmigk, LL.M.